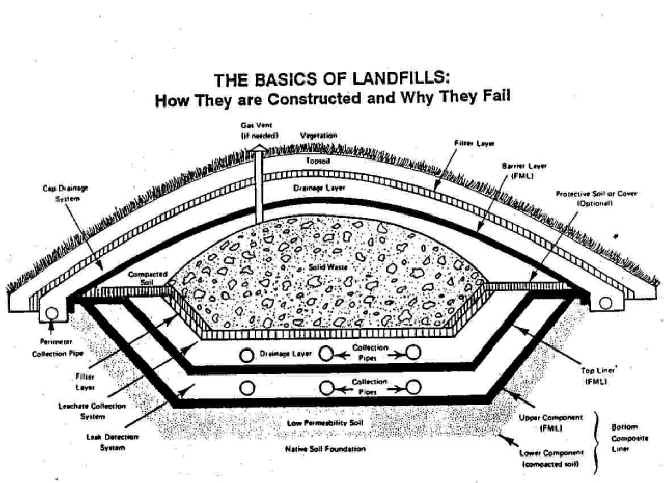 A secure landfill is a carefully engineered depression in the ground (or built on top of the ground, resembling a football stadium) into which wastes are put. The aim is to avoid any hydraulic [water-related] connection between the wastes and the surrounding environment, particularly groundwater. 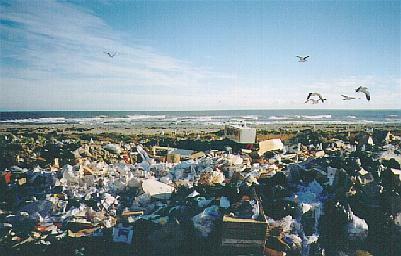 Basically, a landfill is a bathtub in the ground; a double-lined landfill is one bathtub inside another. Bathtubs leak two ways: out the bottom or over the top. 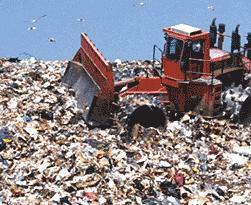 WHAT IS THE COMPOSITION OF A LANDFILL? There are four critical elements in a secure landfill: a bottom liner, a leachate collection system, a cover, and the natural hydrogeologic setting. 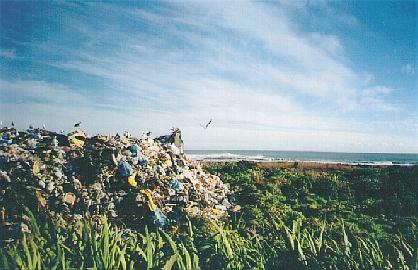 The natural setting can be selected to minimize the possibility of wastes escaping to groundwater beneath a landfill. The three other elements must be engineered. Each of these elements is critical to success. You want the geology to do two contradictory things for you. To prevent the wastes from escaping, you want rocks as tight (waterproof) as possible. Yet if leakage occurs, you want the geology to be as simple as possible so you can easily predict where the wastes will go. Then you can put down wells and capture the escaped wastes by pumping. Fractured bedrock is highly undesirable beneath a landfill because the wastes cannot be located if they escape. Mines and quarries should be avoided because they frequently contact the groundwater. 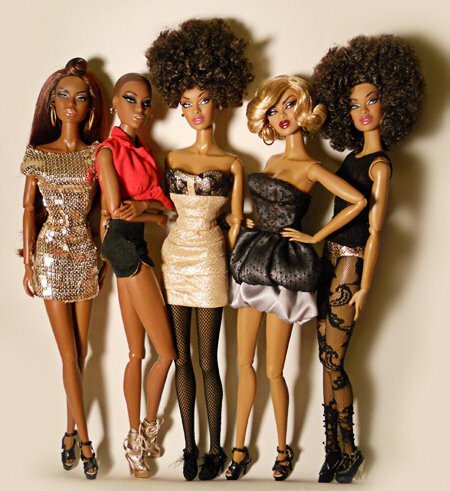 WHAT IS A BOTTOM LINER? It may be one or more layers of clay or a synthetic flexible membrane (or a combination of these). The liner effectively creates a bathtub in the ground. 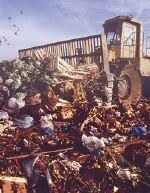 If the bottom liner fails, wastes will migrate directly into the environment. There are three types of liners: clay, plastic, and composite. WHAT IS WRONG WITH A CLAY LINER? Natural clay is often fractured and cracked. A mechanism called diffusion will move organic chemicals like benzene through a three-foot thick clay landfill liner in approximately five years. Some chemicals can degrade clay. WHAT IS WRONG WITH A PLASTIC LINER? The very best landfill liners today are made of a tough plastic film called high density polyethylene (HDPE). A number of household chemicals will degrade HDPE, permeating it (passing though it), making it lose its strength, softening it, or making it become brittle and crack. Not only will household chemicals, such as moth balls, degrade HDPE, but much more benign things can cause it to develop stress cracks, such as, margarine, vinegar, ethyl alcohol (booze), shoe polish, peppermint oil, to name a few. WHAT IS WRONG WITH COMPOSITE LINERS? A Composite liner is a single liner made of two parts, a plastic liner and compacted soil (usually clay soil). Reports show that all plastic liners (also called Flexible Membrane Liners, or FMLs) will have some leaks. It is important to realize that all materials used as liners are at least slightly permeable to liquids or gases and a certain amount of permeation through liners should be expected. Additional leakage results from defects such as cracks, holes, and faulty seams. Studies show that a 10-acre landfill will have a leak rate somewhere between 0.2 and 10 gallons per day. WHAT IS A LEACHATE COLLECTION SYSTEM? Leachate is water that gets badly contaminated by contacting wastes. It seeps to the bottom of a landfill and is collected by a system of pipes. The bottom of the landfill is sloped; pipes laid along the bottom capture contaminated water and other fluid (leachate) as they accumulate. The pumped leachate is treated at a wastewater treatment plant (and the solids removed from the leachate during this step are returned to the landfill, or are sent to some other landfill). If leachate collection pipes clog up and leachate remains in the landfill, fluids can build up in the bathtub. The resulting liquid pressure becomes the main force driving waste out the bottom of the landfill when the bottom liner fails. WHAT ARE SOME OF THE PROBLEMS WITH LEACHATE COLLECTION SYSTEMS? the pipes become weakened by chemical attack (acids, solvents, oxidizing agents, or corrosion) and may then be crushed by the tons of garbage piled on them. A cover or cap is an umbrella over the landfill to keep water out (to prevent leachate formation). It will generally consist of several sloped layers: clay or membrane liner (to prevent rain from intruding), overlain by a very permeable layer of sandy or gravelly soil (to promote rain runoff), overlain by topsoil in which vegetation can root (to stabilize the underlying layers of the cover). If the cover (cap) is not maintained, rain will enter the landfill resulting in buildup of leachate to the point where the bathtub overflows its sides and wastes enter the environment. WHAT ARE THE PROBLEMS WITH COVERS? Human activities of many kinds.